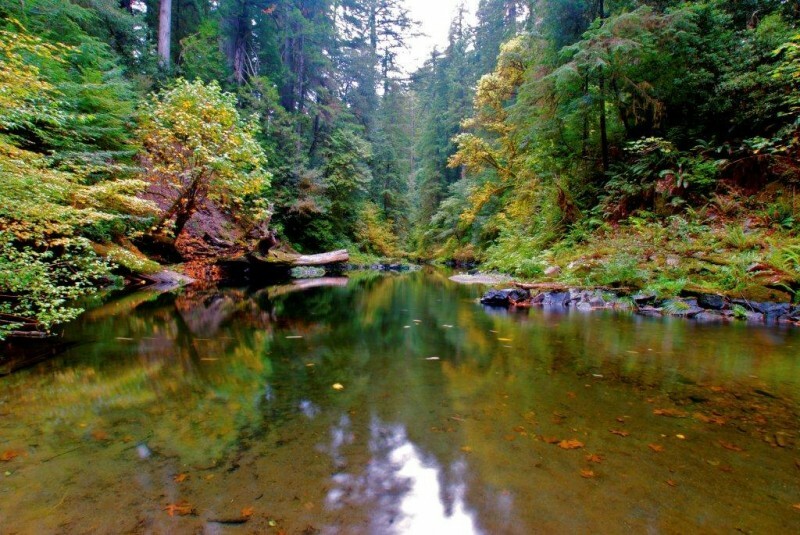 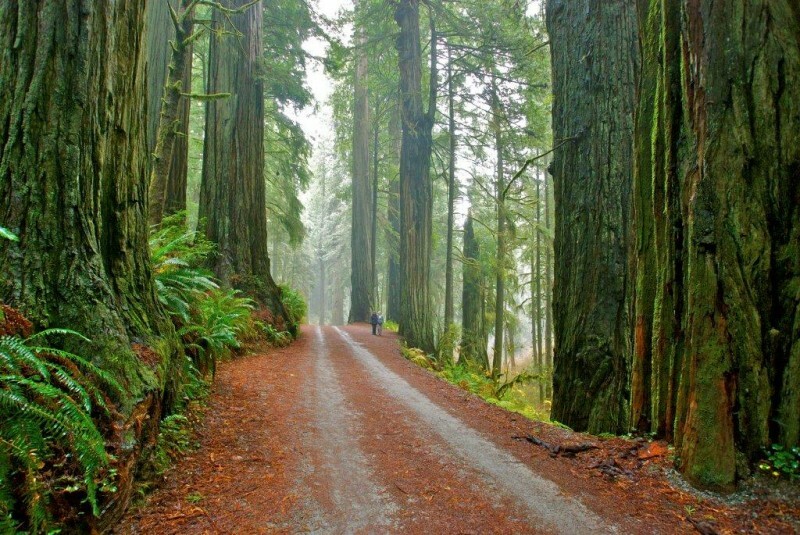 Jedediah Smith Redwoods State Park, named for an American explorer of extraordinary courage, is a feast for the eye. 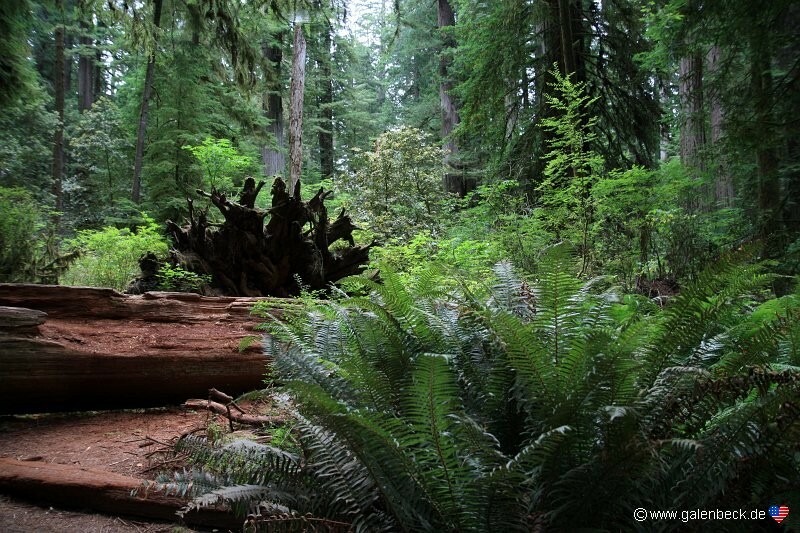 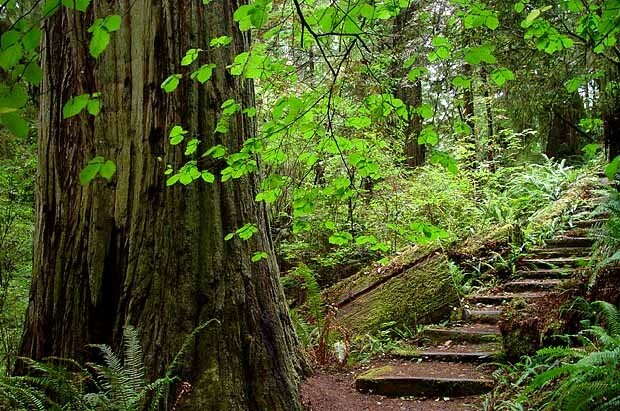 The park protects 10,000 acres of primeval redwood groves, a lush undergrowth of rhododendrons and azaleas, and banks of ferns against giant fallen trees. 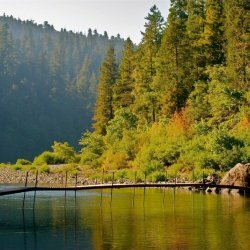 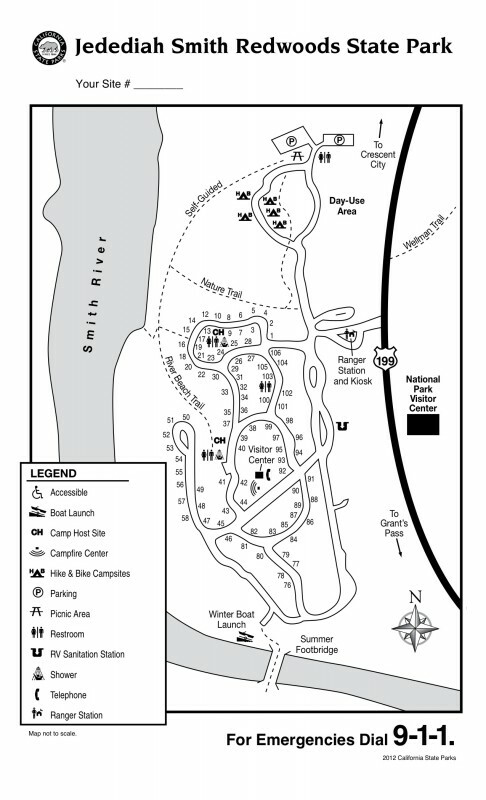 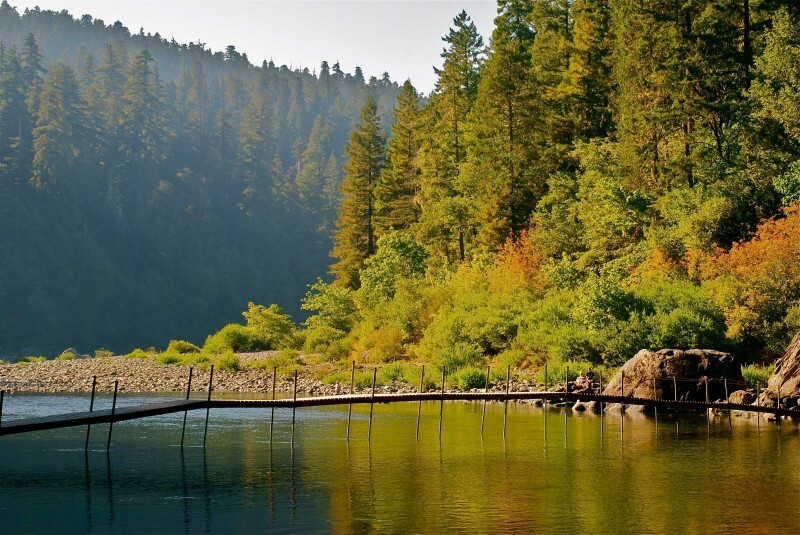 Here at the confluence of the Smith River and Mill Creek, summer temperatures range from 45 to 85 degrees, in contrast to the cool, fog-bound coast. 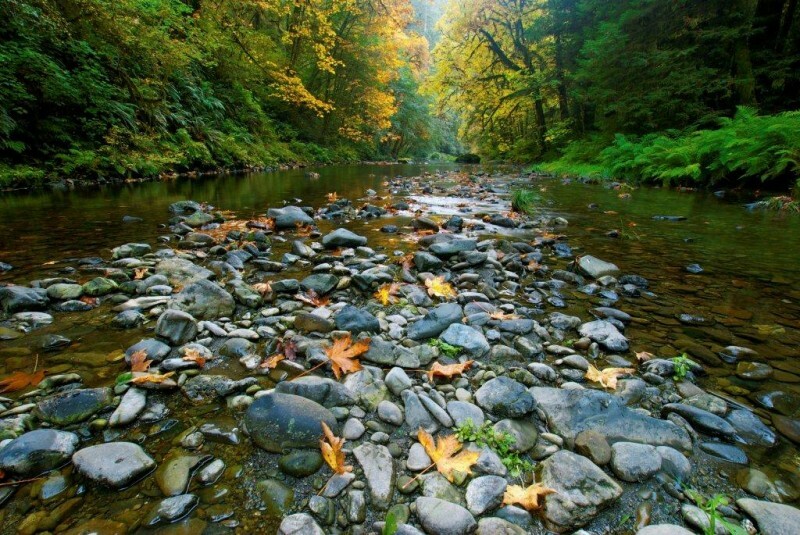 Winter can bring 100 inches of rain and temperatures between 30 and 65 degrees; snow is rare.